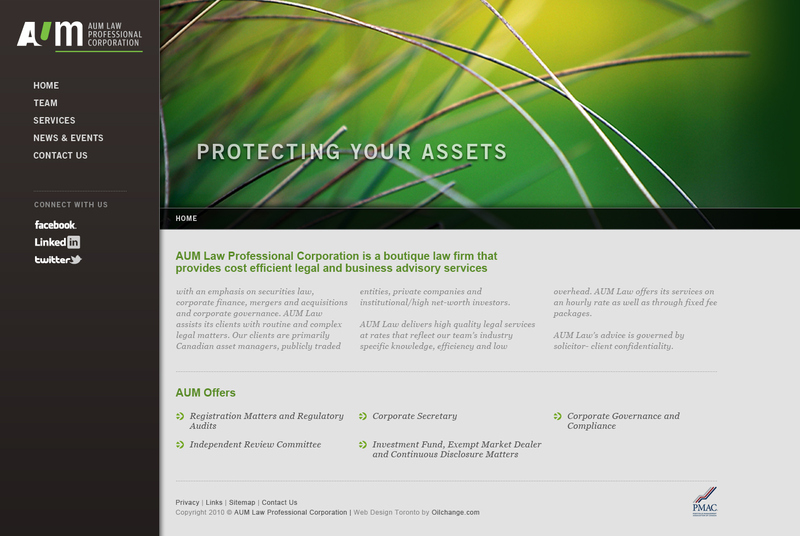 AUM Law Professional Corporation re-brand and online face-lift. AUM Law firm has been a growing professional law firm in Toronto for a number of years. They have specialize range from corporate law to investment advising. In 2011, They have approached us for a branding and online face-lift. 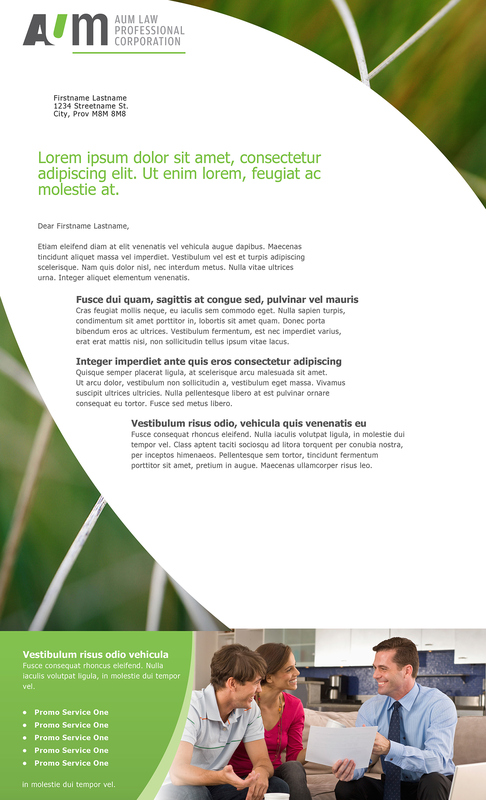 Giving AUM a complete face-lift in both online and corporate branding materials. In order to re-imagine the symbol of growth for AUM, we have chosen the direction of organic and prosperous plants. It also reflects back to the improvement of the AUM logo in colours and font choice. Aside from growth, the colour of green also provides a sense of healthy, balanced, and trust ( especially financially speaking ). 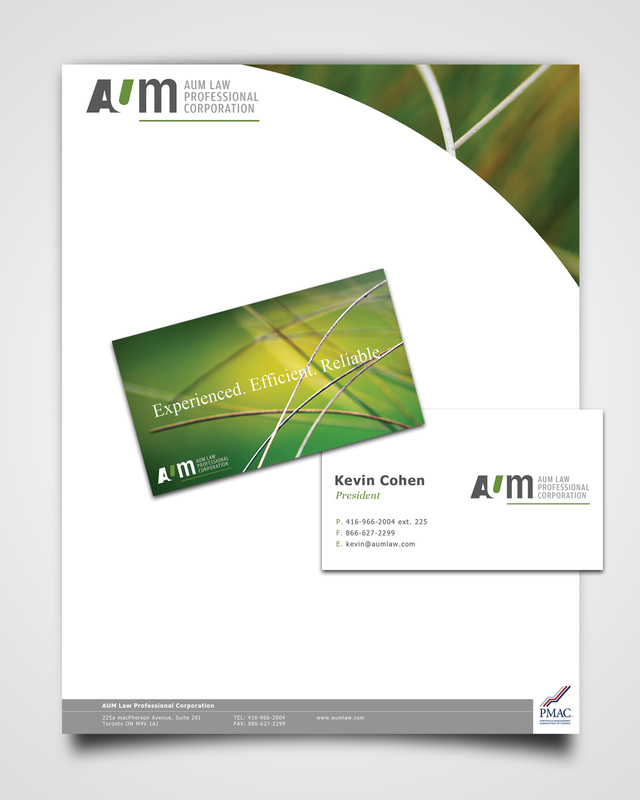 AUM branding materials: Official letterhead and business card ( front and back ). When comes to websites, one of the main goals is to open up the space. Allows a much more comfortable and cleaner space to present the information. The contrast in colours between the images, background and copy information are clear enough that users may find it second nature to browse through the entire site. AUM Website - Home page. 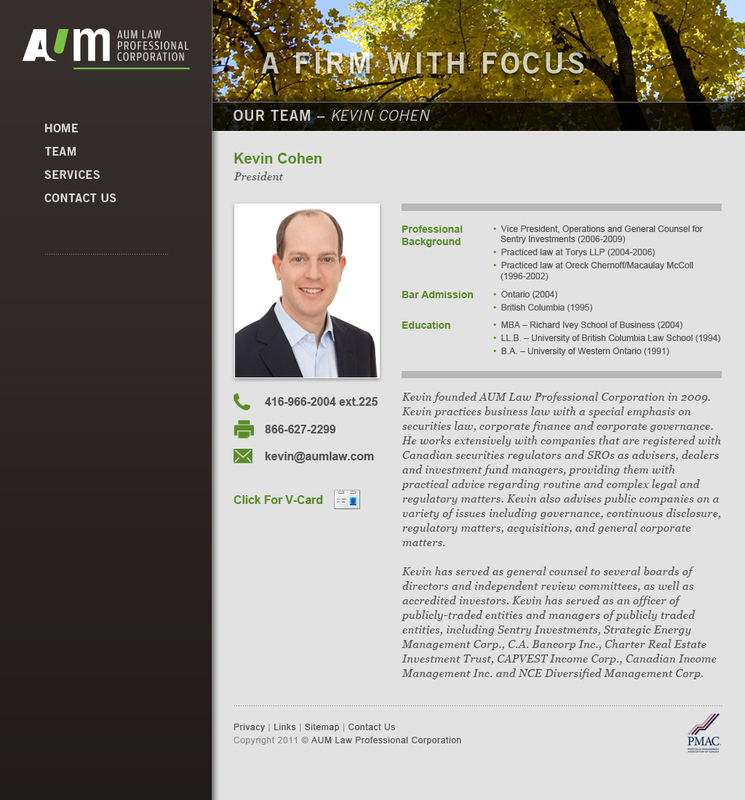 AUM Website - Team page.